I just love how this community is growing! 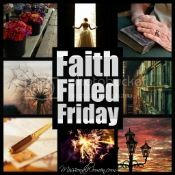 We had 136 posts linked up last week that were so inspiring and encouraging. I'm so grateful you ladies choose to take the time to link up and I've been thinking of a way to be more of a blessing to you. 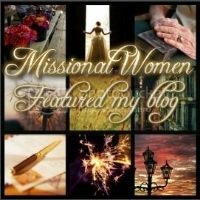 What you write is such a blessing and I want drive more traffic to your site, so each week I feature a handful that really resonated with me. In order to be featured you need to have our button or link on the post you link up or on your side bar. Thanks a lot Laura for hosting us again. Have a super blessed week! My pleasure. Thanks for being part of the community!! Laura, thank you so much for featuring my post from last week! What a blessing you have been in hosting these wonderful link ups and allowing me to connect with other inspiring women. Just a quick note, in the featured section you've listed my blog's name as "Breathing", however it is actually "Breething" (a play on words with my first name). Just wanted to let you know to be careful going forward. Thank you again for the bloggy love! Have a blessed weekend! Thanks Bree. And sorry about that! It's like drinking coffee with a group of encouraging women every Friday morning - coming here! Thank you for graciously hosting! Thanks so much for hosting this great linkup!